Ganesh Krishna represents U.S. and international clients in courts and arbitral tribunals around the world. His practice focuses on complex and multidistrict litigation, including cross-border investigations, international trade and regulatory compliance, and international asset tracing and recovery. 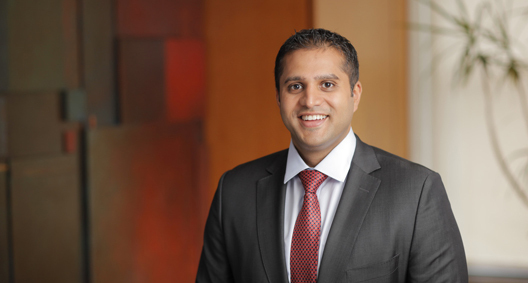 Ganesh has won multi-million dollar awards prosecuting his clients’ claims and has successfully defended companies in multiplaintiff lawsuits. Additionally, his experience includes protecting assets and obtaining fraudulently hidden assets on behalf of clients. Ganesh also specializes in data privacy and electronic discovery issues in complex litigations, a skill that he has developed over years of managing very large, document-intensive cases. He is an experienced advisor regarding data security breaches, preservation of evidence, discovery management, the use of technology in litigation and dispositive motion practice. He aims to bring a personal approach to his work, ensuring that he develops a meaningful and longstanding relationship with his clients. Ganesh is a contributor to the firm's e-discovery blog, Discovery Advocate. Coordinated with Canadian co-counsel in cross-border asset recovery action for H.M.B. Holdings, a corporate victim of illegal expropriation of over $40 million by a sovereign government. Represented foreign court appointed liquidation/bankruptcy trustees, creditors, and HNW individuals, drafting and obtaining financial documents under 28 U.S.C. § 1782, and recovering tens of millions of dollars in assets. Currently a member of the team that represents the Securities Investor Protection Act (SIPA) Trustee for the global liquidation of Bernard L. Madoff Investment Securities LLC (BLMIS), assisting in the BLMIS liquidation on a global basis, and working closely with international legal teams to investigate, unravel and reconstruct the Madoff fraud for the benefit of BLMIS customers. As of February 2019, the team has recovered more than $13.3 billion on behalf of the SIPA Trustee for ultimate distribution to Madoff's victims, with more than $11.2 billion distributed to date. Performed an internal investigation and prepared a report for a leading multiclient family office and investment advisory firm with more than $7 billion in assets under management. The investigation centered around an employee potentially misappropriating client assets and any potential implications on the Securities and Exchange Commission (SEC) and Commodity Futures Trading Commission's custody rules, which require, among other things, that a registered investment adviser ensure that his or her clients' assets are properly maintained by qualified custodians. Is a member of a cross-office, cross-discipline team representing a client in connection with a securities class action arising out of a $4.5 billion acquisition and the merger consideration paid thereunder, with a substantial motion practice before the U.S. District Court, Eastern District of New York, as well as class certification issues pending before the Second Circuit. Post-merger securities fraud class action relates to the calculation of merger consideration in connection with the post-closing conditions precedent. Represented a client in connection to allegations and an investigation by the SEC relating to insider trading. The individuals under investigation were said to have profited from the purchasing of stock prior to a retail buyout. Is a member of BakerHostetler's Discovery Management team, which coordinates, develops and integrates numerous cutting-edge commercial and proprietary systems to manage discovery in the more than 1,000 lawsuits filed by the SIPA Trustee to recover stolen funds for the benefit of defrauded BLMIS customers. Works directly with in-house counsel, internal stakeholders and third-party technologists to preserve evidence and manage discovery in data breaches and security incidents, as well as in subsequent class actions and regulatory investigations. Counsels organizations on how to comply with international data transfer restrictions and data localization requirements, including through the utilization of cross-border transfer mechanisms such as the EU-U.S. Privacy Shield framework, standard contractual clauses and binding corporate rules. As a Crowley Scholar while at Fordham Law School, Ganesh participated in the Leitner Center for International Law and Justice's annual human rights fact-finding project, which partnered with nongovernmental organizations, community organizers, Supreme Court justices and foreign law schools on an international human rights project relating to land rights in Nepal.